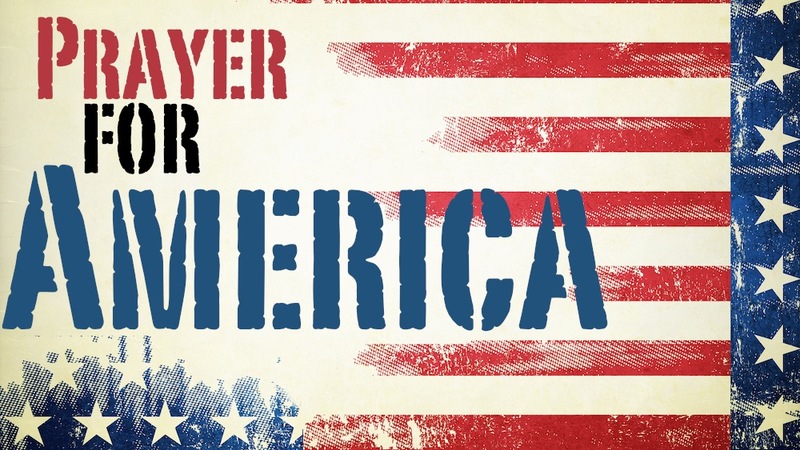 A Prayer for America | Dr. Justin Imel, Sr. Thank you for your rich blessings upon our land. We have freedom unrivaled in the history of the world. We have new technological advances every year, advances which both extend our lives and make them easier. We have an abundance of food with which to fill our stomachs. Many soldiers have died on foreign fields for our land, but we acknowledge your sovereign hand in our freedom. You, through the hand of those who fought, have preserved our land. Yet, our God, while you have blessed us, we have forgotten you. Racial divides separate those made in your image. Immigrants come to find opportunity, but they too often find a hatred born of mistrust. Marriage is no loner held honorable before all—divorce is common, no more do we see marriage as simply between a man and a woman, and many have decided that they no longer need marriage to be a family. Children are slaughtered in the wombs of their mothers by the millions. Our leaders fail to live honorably before our children. Oh, our Father, how far we have fallen! We ask Father that you would heal our land. Turn us away from self. Turn us away from greed. Turn us away from arrogance. Turn us to service—to feeding the hungry, clothing the naked, visiting the widow, caring for the fatherless, and serving the prisoner. As you heal our land, O God, may our nation become a light for all the people of the world—not a beacon of freedom or of economic success but of godliness. Help us to show your Son to the world. We pray for our leaders. We ask that you bless them richly. We pray, Father, that by their leadership we are able to live quiet and peaceable lives, godly in every way. Give them wisdom Give them courage. Give them the strength to do right despite the polls. As our nation heads to the polls to elect a new President and a new Congress, we ask that your will be done. Help us remember, Father, that your purposes are bigger than ours. Help us not to get so caught up in the political climate that we forget our real mission is to help advance your kingdom which is not of this world. Father, help us to get rid of our arrogance. Help us to remember that you love all the people of the world—regardless of their country of birth, language of tongue, or color of skin. While we love this nation, we acknowledge that we are not the only people you love. Father, may you be glorified in all things. This entry was posted in America, current events, Prayer. Bookmark the permalink.